The retail sector has radically changed over recent years and continues to be influenced by the needs of the erudite customer. Calderpeel has a broad portfolio and specialist experience in the design and delivery of appropriate, economic mixed use retail developments meeting the demands of the modern consumer. Calderpeel are currently working with Wellington Markets on several retail projects throughout the UK. 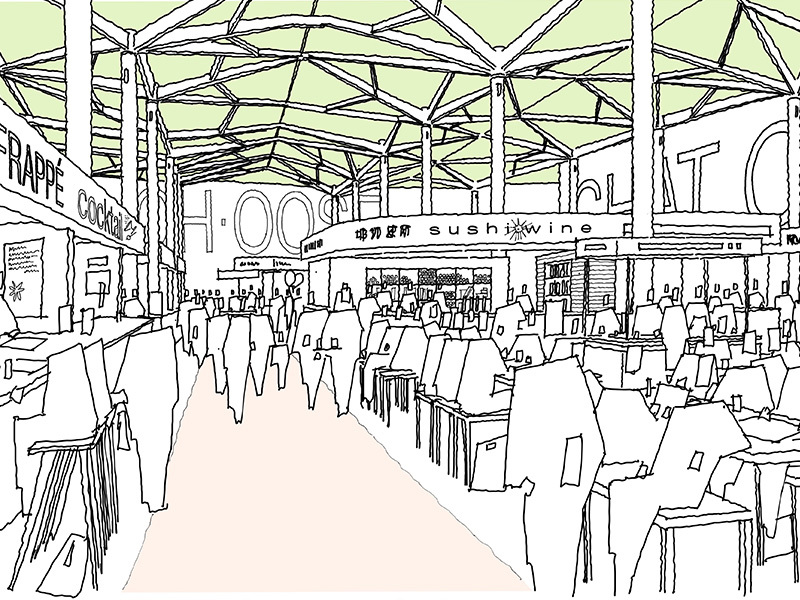 Working closely with their team to prepare concept designs for new bespoke markets and shopping experiences. 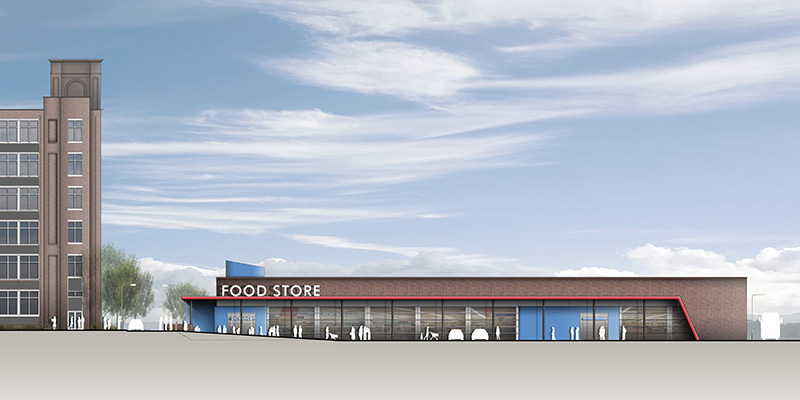 As part of their retail strategy we are developing concept designs to revitalise and rebrand existing markets in Chester, Bradford and Northwich to improve the customer experience. A single storey, flat roofed building is proposed for the site which sits comfortably alongside the surrounding retail units. The proposals are for 247 m² retail accommodation split into 2no units, with 10no car parking spaces and an external seating area. This scheme offers a sustainable retail development that responds to the existing topography, landscaping and site constraints, and makes a positive contribution to the area. 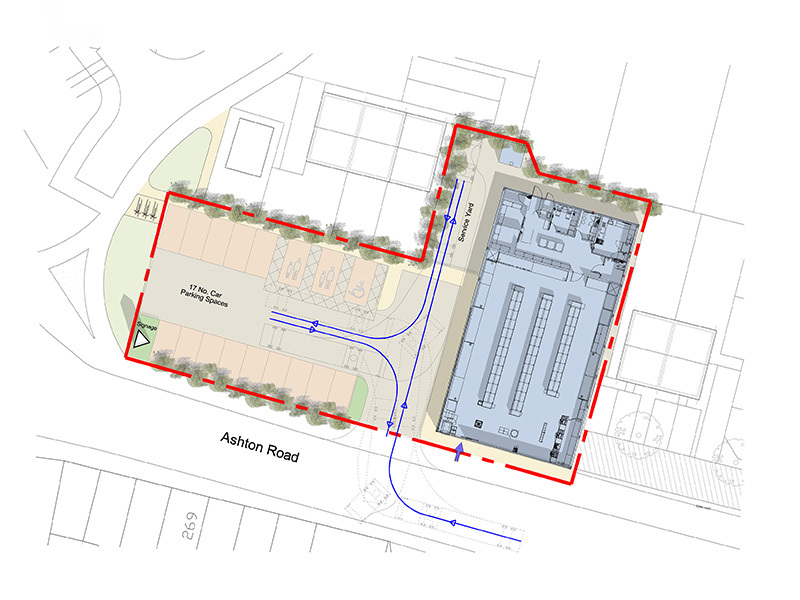 Following detailed appraisals of the site to identify and unlock its true economical potential, the relocation of the dental practice facilitated the procurement for the new large retail units facing the main road with eleven apartments above. Designed to appear fresh, modern and inviting the building has become a landmark in the area and has re-invigorated many local business.